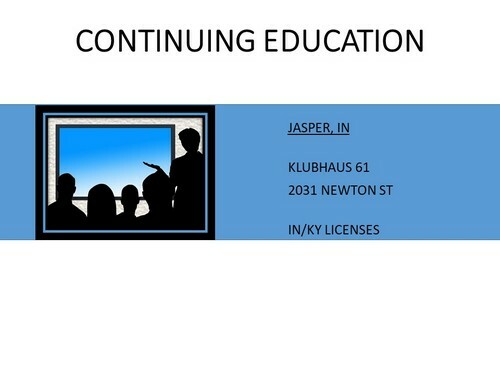 Approved by the State of Connecticut Insurance Department for insurance producer continuing education credit. 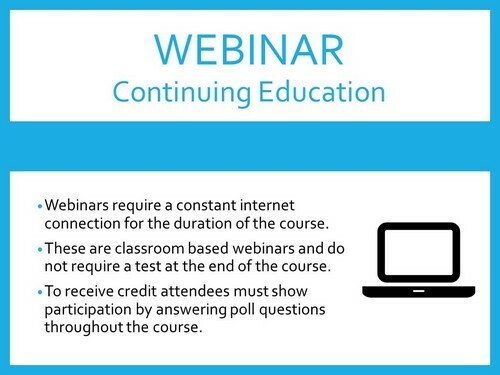 All webinars are credited for the listed continuing education hours; cost is determined by the number of CE hours. You are responsible for knowing when the course begins and MUST stay active throughout the entire webinar to receive credit. You must have a reliable internet connection for the duration of the course. Difficulty level is participation based. 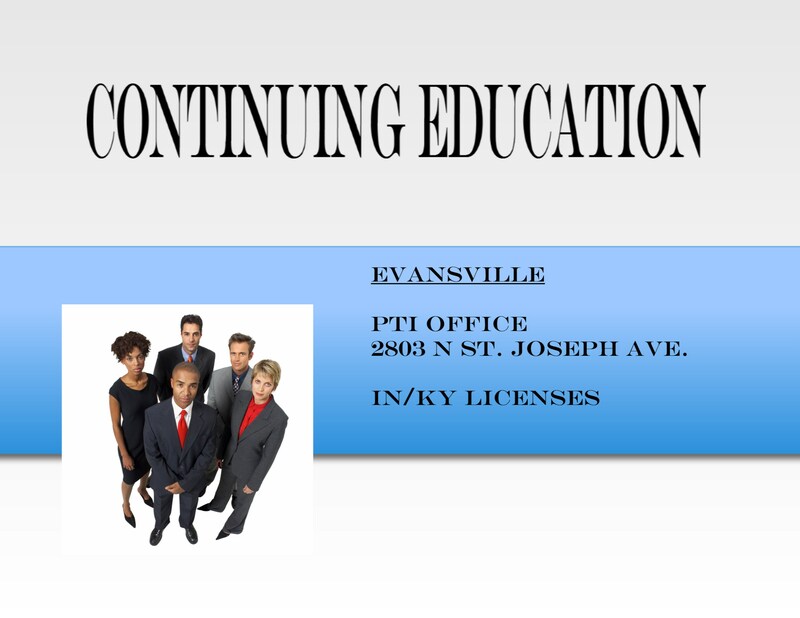 Attendees will not have to take a test at the end of the course but will have to answer questions during the course to show participation.